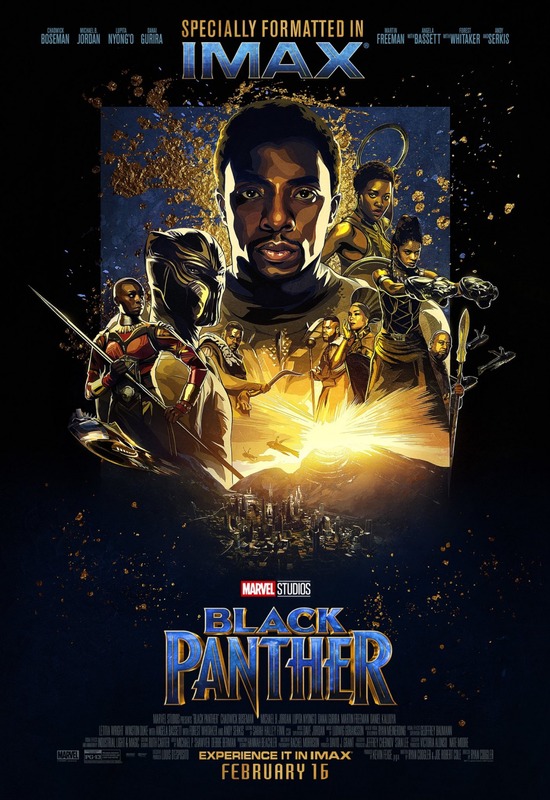 Check out this beautifully illustrated Black Panther IMAX Theatrical One Sheet Movie Poster! The Blot loves the way Marvel used splashes of gold throughout the poster’s design, which gives it a very luxe look. I was honestly surprised that Marvel had not released an illustrated or painted poster for Black Panther yet, because to me those are always the most iconic one sheets. Thankfully IMAX changed that with this dramatic movie poster.